Gold is the ultimate goal but silver or bronze is a precious commodity; for those who are competing in the forthcoming Buenos Aires 2018 Youth Olympic Games, the medals can now be eyed with hope and envy. The designs for the multi-sport event, which will commence on Saturday 6th October, have been completed. 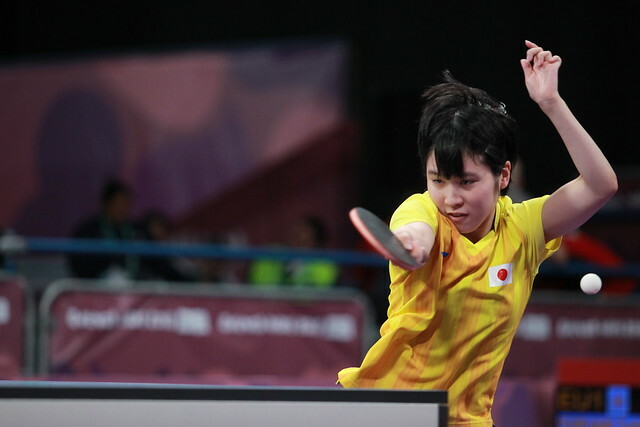 A total of nine medals are available in the table tennis events – Men’s Singles, Women’s Singles, Mixed Team. Notably the front of the medal is a design created by 18 year old Muhamad Farid Husen from Indonesia, the result of a competition judged by a panel comprising members of the International Olympic Committee alongside those involved in the Young Change-Makers and Young Reporters programmes. The submission was one of some 300 designs from over 50 countries received earlier this year, the closing date being Wednesday 31st January. Fireworks that run through the five Olympic rings with the inscription “Buenos Aires 2018 Youth Olympic Games” completes the front of the medal; the concept being to represent the enthusiasm and status of the event. On the reverse side the firework theme continues with the official name of the Games included, the design being that of Fermin Igarreta, a 24 year-old Argentine who works on the Organising Committee’s graphic design team. 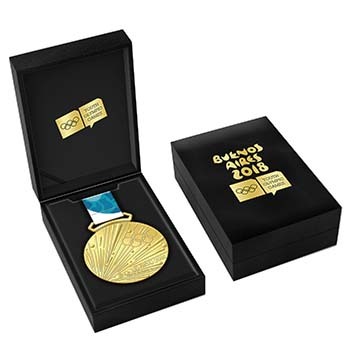 Each medal is 80 mm in diameter, the medal box is 110 mm wide, 160 mm and 50 mm high.